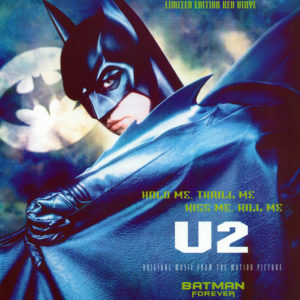 Hold Me, Thrill Me, Kiss Me, Kill Me is probably the best single U2 ever released outside an album. The track surfs on the band's state of grace after the ZooTV tour. A piece that perfectly fits the atmosphere of the film for which it acts as a soundtrack, skillfully mixing strings and electrics. Brilliant live in 1997, it will be equally appreciated during the 360° Tour. Too bad U2 only used it as a record during the E+I Tour. 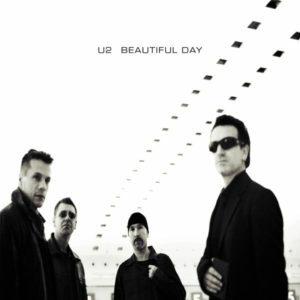 If U2 succeeded in its reconquest mission in the early 2000s, it owes much of it to Beautiful Day. It is the ultimate big hit of their career, marking their return to pop/rock and commercial success after the Pop experience. The Edge even released his old Boy guitar for the occasion. As a Frenchman, we can only congratulate the U2s for choosing Roissy Charles de Gaulle airport to shoot the video that would sign this great comeback. The production is licked, the chorus is devastating, and the title has become impossible to get out of a setlist twenty years later, most often for the better, but sometimes also by routine. Gone is probably the best composition of Pop. It is a powerful, personal, and endearing title. He will hold almost two full concert tours, which is quite a performance for a Pop song. He will be improved on the Elevation Tour (despite this ridiculous scene of The Edge breaking his guitar in Boston to look like a rock star) and the new mix made for the Best Of 1990-2000 will give it a rawer and more rock sound. Exit is one of the darkest tracks of U2, alternating very calm verses sliding on Adam's bass with violent choruses slashed by Edge. A unique composition in the group's discography. The title is simply monstrous in concert. 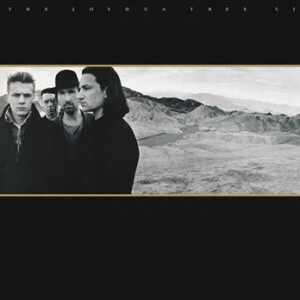 We can never thank Joshua Tree's birthday tour enough for giving us the chance to listen to it again 30 years later. 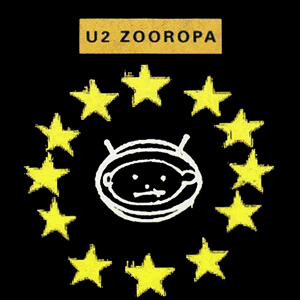 Zooropa's closing track, The Wanderer was born as a joke, in the idea to conclude the album with a disconcerting and unexpected title. The band will make a separate ballad of it, built around a text written for Johnny Cash and that "The man in black" will sing during a visit to Dublin. Anyone who finds this twenty-sixth place surprising is invited to watch the song's only live performance, on the Vertigo Tour stage one evening in November 2005, for a TV show in honour of Johnny Cash. A moment of grace and pure magic during which time stops and U2 crushes everything in its path. A moment that simply reminds us why we are and will remain fans of these four guys until the end. New Year's Day could easily become the new Poland's national anthem. It's always a pleasure to see these hordes of Polish fans vibrate for this track and ask for it every time U2 appears on stage. 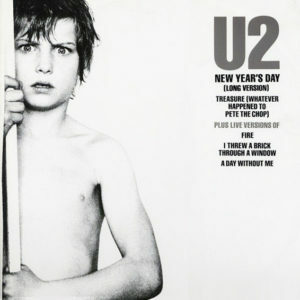 First hit in the history of U2, carried by Adam's bass, New Year's Day has aged less well in its studio version than Sunday Bloody Sunday. It is nevertheless a major title of their career and the band had the elegance to do it (a little) on setlists. We welcome the two revised and corrected versions proposed on the last two tours. Ten years later, Bono signed the counterpart to Sometimes You Can't Make It On Your Own, this time dedicated to his mother. A track so poignant and so personal that he will call his brother the day before the release of the album to make sure of the process. Iris (Hold Me Close) is a superb composition, intense and deep, one of the (many) strong tracks of Songs Of Innocence, perfectly anchored in its concept. It was also a central element of the tour that followed. We like it when Bono sings with his guts and reveals himself on stage. Of course, this title will always be far from unanimous. 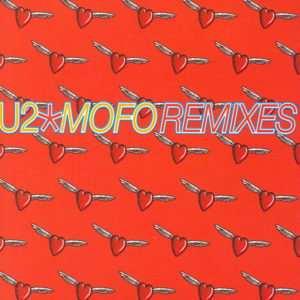 Mofo is the culmination of the journey U2 started with Achtung Baby and continued with Zooropa. It's the symbol of Pop. U2 is then at the top of his electronic experience, just before getting back in line. A delightful title for anyone who loves this type of sound and this period of the band's career. We also appreciate the theme of the song, the fact that Bono speaks directly to his mother, to his daughters, and wonders about his status as a rock star. Tragically missing since then, Mofo was the excellent opening title of the Popmart tour. The memory of Bono haranguing the crowd in his boxer's robe before the Popmart lights blew up the stadium remains deeply in our fans' memory. Special mention should be given to the version played at the MTV Europe Music Awards after a fiery introduction by Dennis Hopper. A moment of grace. A nod to this demo version of the song, which can be listened to on a promotional video destined for Universal in 1996, much rougher and more rock than the final version, and which simply borders on the sublime. Discothèque is the story of one last time. 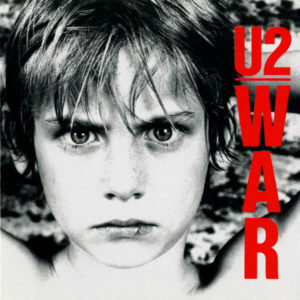 The last time U2 released a single that kicked our asses the first time we heard it. The last time they really follow their his idea on the artistic level. The last time they dared to take the risk of not pleasing everyone. The last time Larry agreed to free themselves in a video. In short, the last time U2 was cool in the eyes of the world. Brilliant first single of Pop, Discothèque pushes to the farthest the electro inspirations of the group. We like the title for its riff, its sound richness, its multicolored visuals, and its lightness. The band never takes itself seriously and Stéphane Sednaoui's clip is an indelible illustration of this. Unfortunately its live career will be short. A central moment of the Popmart Tour, transforming the stadium into a giant club, the song then disappeared from the setlists despite some interesting versions in 2001 and two miraculous appearances in 2005. Everything seemed to be in place to bring it out on the Experience + Innocence Tour, especially in Europe instead of Even better, which is a pity that the group does not hear it from this ear. No Line On The Horizon is without hesitation the centerpiece of the album of the same name. An electric, deep track, where the indelible leg of the band and the oriental influences it experiences on most of the album mix effectively. The fast, energetic, and jerky rhythmic carries the song from beginning to end and is accompanied by Bono's fervour. We remember with shudder the crowd of the Camp Nou spontaneously taking back the "oh-oh-oh-oh" from the first notes at the opening of the 360° Tour. We also like the alternative version of the song, cleaner and more pop, whose title is soberly adorned with a number 2. A special mention also for the sublime and very raw live version recorded at the Hannover Quay studios. In 1993, U2 was at the height of his art, drawn into the Zoo TV spiral and a creative delirium that they would never again equal. The song Zooropa is the culmination of the concept, a futuristic masterpiece and the synthesis of an extraordinary tour. The Irish offer us here an exceptional and timeless title, superb in its construction with this slow introduction of more than two minutes and this final tempo that gets carried away, brilliant in its text built from advertising slogans, and unique in its production with its electronic guitar sounds. 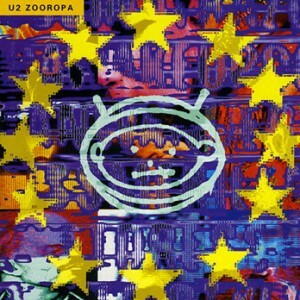 With Zooropa U2 touches the sublime for six and a half minutes. Its unexpected appearance, all lights off, during the 360° Tour had been one of the beautiful surprises of this tour. And even his only verse was sung in Europe during the I+E Tour in 2015, it was a beautiful introduction to Where The Streets Have No Name. We welcome the bold choice to start a song with a sentence in German, a language too often neglected in our decadent societies. How many titles can pretend to represent U2 as well ? Thanks to a memorable guitar riff and a dreadful chorus, I Will Follow crosses the ages without getting a wrinkle. Its is both incredible on Boy and in concert for forty years, a must-see that has no equivalent to move an entire stadium without any artifice. 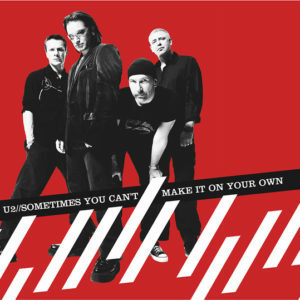 Sometimes You Can't Make It On Your Own is perhaps the most emotionally charged song Bono has ever written. It's hard to stay cold in front of Phil Joanou's video clip, "Single Take" version, where he sings a capella while walking through the streets of Dublin, with a raspy voice, and all the weight of the song on his shoulders. The title tears us apart by its intensity and by the fact that Bono speaks directly to his lost father, in a poignant way that speaks to all of us. 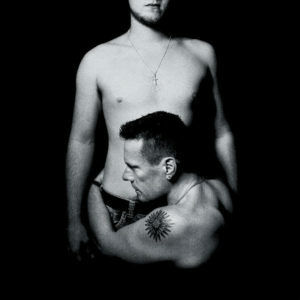 Love Is Blindness is probably the best album closing ever written by U2. A track with unique sounds, carried by high-flying lyrics, transcended by The Edge's solo and fantastic to close the Zoo TV concerts. Love Is Blindness is also the memory of Bono's defeated face, leaving the scene of the Zooropa Tour washout and the make-up dripping on a piece of rare darkness. It is also this memorable acoustic version performed by The Edge in an empty theatre for the film From The Sky Down. Two sublime facets of this piece. 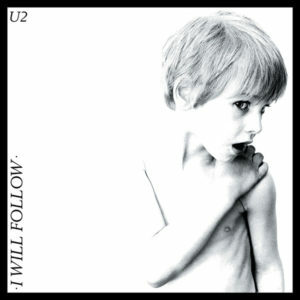 Cedarwood Road is one of the greatest successes of Songs Of Innocence, well led by the riff of The Edge and Bono's touching lyrics about his youth in Dublin. No other track by U2 can boast of having been more successfully staged in concert. It's as if the whole Innocence + Experience Tour scene was built on the basis of this piece. Seeing Bono and The Edge walking down the street from their childhood was just a great moment. 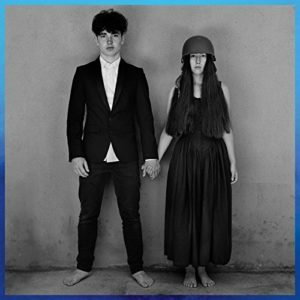 With Bullet The Blue Sky, U2 signs its most politically committed text. Written to denounce American interventionism in Central America, Bono asked The Edge to "put El Salvador in the amp" and that's probably what will bring this screaming, aggressive guitar, exploiting feedback to create a unique hostile atmosphere. The piece was taken to a major dimension in concert, evolving over time and the messages conveyed by the group to offer performances and staging that are constantly renewed. We think in bulk of the Popmart version where Bono plays with an umbrella in the colours of the American flag, of the 2001 version where he puts a spotlight on the crowd before turning it against him as a weapon, or of the 2015 version - one of the most successful - skilfully transformed into a speech against the countries selling weapons. 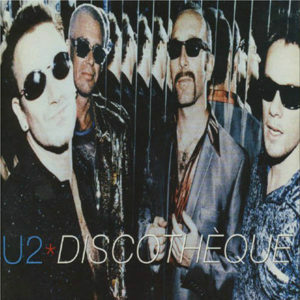 Acrobat is one of the best tracks of Achtung Baby, a dark, hard song, carried by a superb guitar riff and tortured lyrics in which Bono reveals his own weaknesses and contradictions. U2 is never as good as when they manage to generate imagery through their music, and this is the case here by dragging us into a characteristic, suffocating, almost hallucinatory atmosphere of confusion. Now legendary among fans, Acrobat has frustrated everybody for twenty-five years by being Achtung Baby's only song unfairly deprived of live performance. The band will correct that in 2018 by offering us one of the most inspired moments of their Experience + Innocence tour, a captivating and electrifying moment, orchestrated by MacPhisto's aged and more diabolical return than ever. Even The Edge will succeed in his solos. The wait worth it. 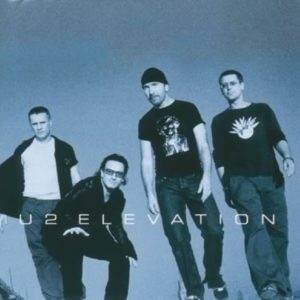 Of course we could be ruthless and analyze Elevation by taking its single version and its infamous clip, intended to promote a second-rate movie, where U2 won't even met Angelina Jolie. But we wanted to take the good side of things, mainly its album version, more funky, brilliantly mixing the big guitar, acoustics, and electronics. A song that delighted us from the very first listening, before we were swept off our feet in concert. The arrival on stage in 2001 with the sequence of the Influx Mix and the live version, all lights on, is an incredible souvenir. U2 has a superb repertoire but how many titles can get an 80,000-person stadium up in three notes? What efficiency! We like Elevation because it's a popular track, which takes you from the first notes to never let go. Despite the "uh-ouh" and the weak lyrics. The studio version of With Or Without is perfect and was an unprecedented success for the band, becoming its first number one in the American charts. It remains one of the five major hits of her career. His bass line and his soaring guitar have made history. We like the structure of the track which starts as a romantic ballad, before starting a progressive, long, sensual ascent, and becoming heavier and more and more passionate until it explodes under Bono's impulse. We obviously remember the 1987 live versions, majestic, accompanied by a magic snippet of Love Will Tear Us Apart and the mythical and delightful "Shine Like Stars". We also like the version of Leg 5 of the Zoo TV Tour, brilliantly linked to Lemon and sung with more distance. The track has since become a little boring live, performed with less conviction, and would have deserved to be spared from time to time. But how can you blame U2 for having trouble depriving itself of such a hit? Ultraviolet is one of Achtung Baby's pearls. Together with Acrobat and Love Is Blindness, he forms a magical trio that closes the album in an exceptional way. The title speaks of love, or more precisely of the couple, of emotional dependence and existential crisis, subjects that are omnipresent in this album's end. We appreciate the sincerity of the text and the enchanting atmosphere of the piece that takes you right from its mysterious introduction. Beautiful in studio version, the title was just as beautiful in concert during the Zoo TV Tour. But it is its reinvention in 2009 for the 360° Tour that will take it to another universe. The memory of Bono, hung with his bright jacket on his round LED microphone, is memorable. 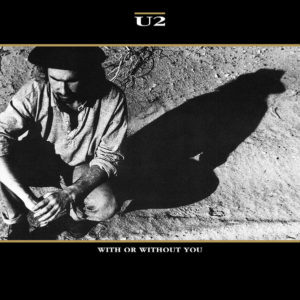 The title, following On Or Without You, perfectly embodied this decayed and upset lover depicted in the lyrics. Beyond the brilliant guitar riff, it is thanks to its rhythmic, and especially to Larry Mullen's mythical performance, that Sunday Bloody Sunday will become the greatest hit in the history of U2. A great tribute to the drummer who was at the origin of the band's formation. Sunday Bloody Sunday defines U2 as a mole in the middle of the face, something you have for life and that makes you special. 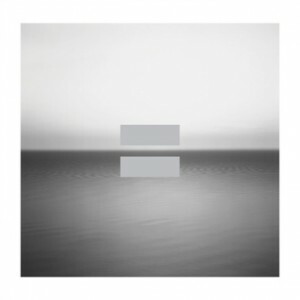 This is the quintessence of U2, an effective title, recognizable among thousands, a vector of a strong message, politically committed, fighting against injustice and for tolerance. A world-famous and unavoidable hit. We love its eternal side and its ability to survive the times by continuing to trigger clamour from the first drum strokes. We also like the variants that the band made the effort to propose, notably the solo version of The Edge in 1997 - when no one imagined the track would be replayed at the time - or the lighter version of 2015. "U2 is not really a rock band, it's more of a folk band, the loudest folk band. But from time to time, a track like Vertigo emerges, which makes you want to burn your house down". Everything is said in this quote from Bono from 2006. 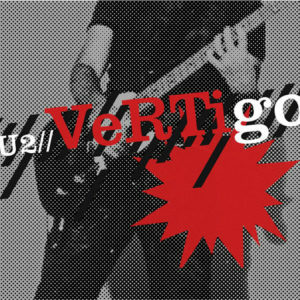 Vertigo is not U2, will never really characterize U2, but will certainly be one of the greatest achievements of a band whose punk roots had never been so much reflected on a song. More than through its radio broadcasts, it was through the iPod advertising campaign - of which he spearheaded in 2004 - that Vertigo became a hit, the last of U2's career. A hard-hitting, raw, wild track, and with a heady chorus, How To Dismantle's first single An Atomic Bomb had everything it took to excel. Even the lyrics are unusually hollow, as if the band had agreed to completely strip off and let only the sound of their wild guitarist speak. It is in concert that he will become one of the group's masterpieces. Designed for live performance, it offers jubilant performances. From his first promotional appearances he hit the nail on the head. The mating with Stories For Boys on the first leg of the Vertigo Tour is wonderful. It is also important to remember a Dublin concert evening in 2015 when Bono decided to embark his group on an anthologic's "double end". A gimmick that will then be kept. The title will never leave the band's setlists again. The better it will even be played twice during the European leg. Four years later, his little facelift of the 360° Tour will give him even more style, U2 putting a deafening alarm in front of him, accelerating his tempo even further, and validating if it was necessary that Vertigo is simply their ultimate rock title. Bad is an extraordinary track, perceived by many fans as the greatest song in U2's repertoire. Touching in the studio, with his guitars and bass characteristics, his poignant lyrics and his progressive rise, it is nevertheless in concert that he will win his titles of nobility. Enhanced by the live performance, the song offered us moments of intensity rarely equalled, mythical versions spread out without complex over more than ten minutes and memorable snippets. Bad's performance at the Live Aid in 1985, which only the giant Queen will be able to eclipse, is obviously to be applauded, during which Bono - inhabited - will reveal himself to the public by jumping off stage to pull a fan out of the pit and by chaining together the mythical snippets, from Rolling Stones to Lou Reed. We also salute, more confidential, the version played on Man Ray in 2000, including a sublime extract from "Ne me quitte pas", which twenty years later still gives us goose bumps. The Troubles is probably the most beautiful composition of Songs Of Innocence, a delicate and superb piece at the end of the album, subtly handling Lykke Li's strings and voice. While she had only recorded one single session in the studio, she was called back for a second session by Bono, finding that she was sublimating the song. The duo works perfectly. U2 appears in it all in finesse and mastery and signs a strong title on all levels, whose only flaw is finally not to last long enough. We would have liked the band to defend it on stage. As incredible as it may seem today, Until The End Of The World has never been released as a single. However, it is a track that is unanimously accepted and that has become absolutely essential live. A key element of U2's career. The group is at the top of its game, both musically and in the text. Fantastic in concert, Until offers us memorable and constantly renewed productions, better from tour to tour. We particularly appreciate the stage play offered in 2001 on the Elevation tour and, of course, the stunning 2015 version and its superb staging on the screen, Bono taking the opportunity to virtually scratch the intimate parts of his guitarist. At almost 60 years old, Bono proves that he still can write great songs. The Little Things That Give You Away is a poignant masterpiece, superbly well crafted, with disconcerting lyrics. It is an introspection in which the singer reveals his doubts and fears, about the passing of time and what he has become, about all those things that betray him, and about death that will one day knock at the door. A piece that alone defines the concept of experience. It is difficult to listen to "Little Things" without considering the hypothesis that this is the last song of the band's career. This is probably what will prevent the band from putting it in the last position of the album, thus avoiding any pessimistic interpretation. We particularly like the version recorded live for Spotify, magnified by the piano, and whose simplicity reinforces the emotional charge. A real success for one of the most moving tracks of the band's career. 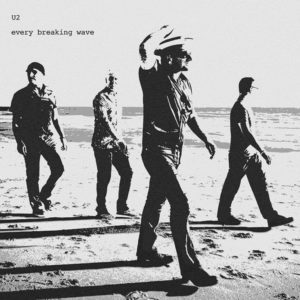 Every Breaking Wave is the masterpiece of Songs Of Innocence, a fantastic song where U2 moves forward with restraint and sobriety without trying to overdoing it. It is one of the band's best pop compositions, a delicate piece, full of poetry and whose chorus, delivered under the guidance of Ryan Tedder, cannot be challenged. It is worth savouring it in view of the superb 13-minute short film that accompanies it and takes us to Northern Ireland in the 1970s. The title will take on an even greater dimension associated with an orchestra. The acoustic version, released as a bonus of the album, approaches the track from a more subtle and less pop angle. The single version will go even further and make us regret that U2 didn't dare bring an orchestra back on stage every night of the Innocence + Experience Tour. There is no doubt that this moment will come one day, when the group will open up to more varied concert formats. If there was only one left, it would probably be this one. Fantastic album opening, Where The Streets Have No Name didn't have the commercial success of With Or Without You or I Still Haven't Found when it was released, but it settled down over time and became huge in live. It is the centerpiece of U2's concert career. The Edge composed the track alone in his corner, finding that a song cut for live performance in The Joshua Tree was missing. He did well and the result is in line with his ambition. More than any other Streets is a title that is made for stadiums and open spaces. Tested in all configurations, at the opening, in the heart of the setlist, or as an encore, it is always the highlight of a U2 concert. Just listen to the clamour of the crowd as soon as its long introduction resonates and the way it electrifies an entire stadium. As Bono will say, Streets is the only track in the band that can turn a failed concert into a success. The Fly is an earthquake on its own. Bono will say that this song is "the sound of four guys killing The Joshua Tree" and there is no better metaphor. 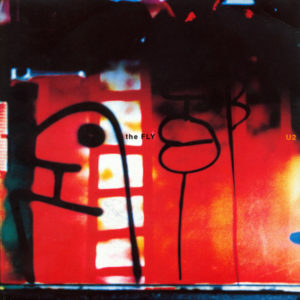 Achtung Baby's first single, The Fly, is the precursor of the album and a band that is beginning its revolution. It's a slap in the face with the sound of U2 that switches to a hard, dark, industrial, tampered rock in the 90s, opening up to dance and electronics. It is also a slap in the face for the image of a Bono who for the first time hides behind a character, dresses in leather, hides behind dark glasses, and falls into irony to better destabilize his audience. The Fly is a story of counterfooting, destroying its image, and being where no one is waiting for you. It is the major work of U2 in his least consensual and most creative period. The group simply rubs shoulders with perfection, bringing in its suitcases the whole concept of Zoo TV which will make its splendour for two years. Brilliant in concert, the title will overwhelm the crowd each evening with its slogans and power. Better still, he will stand the test of time to settle permanently in the setlists in 2001 and 2005, or as a duty firefighter in 2011 and 2018 when it comes to paying tribute to Achtung Baby. We greet with nostalgia the alternative version offered on the Elevation Tour and the superb memory of Bono crashing like a fly on the screen! 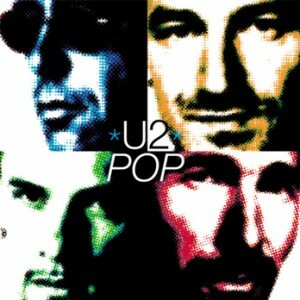 If there were to be a song eternally attached to U2, then One would be this one. 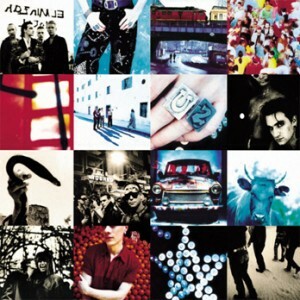 No song past or to come will have the emotional and symbolic strength of Achtung Baby's third track. 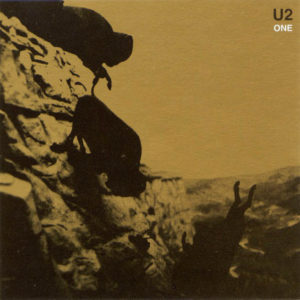 One is a masterpiece born of a brilliant inspiration from Bono, while the band was stuck in Berlin having a conflictual recording sessions. The documentary From The Sky Down shows this magical moment in which the singer guides the group towards a melody that he already has in his head. 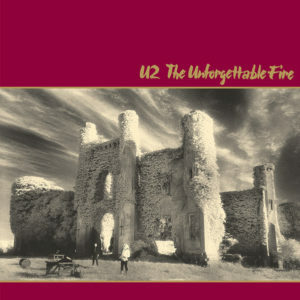 This instant will transform the album and will be the origin of the greatest track of U2's career. Beyond being a superb piece, One is also a complex text, subject to various interpretations. Wrongly mistaken by lay people for a love song, it is a darker song, which can certainly evoke unity but also separation and the difficulty of living together. Anton Corbijn's video, filmed in Berlin, in which the group disguises itself to better cover its tracks, is one of the best of their career and perfectly reflects the atmosphere of the song. Declined in several versions (acoustic, symphonic, or even rnb), One will have known several lives, even giving its name to a humanitarian work. Played at almost every concert of the band since its release, it is often played today at the cost of endless speeches, a sign that it has become much more than just a title for the band and its audience. We, therefore, prefer to remember his first years, especially those first evenings of the Zoo TV Tour during which Bono gradually adds new lyrics at the end of the song. "Do you hear me coming, Lord, Do you hear me call, Hear me knocking, knocking at your door, You hear me coming, Lord, You hear me call, Feel me scratching, will you make me crawl". On these evenings, like that night on June 15, 1992 in Rotterdam, U2 hovers over the world.